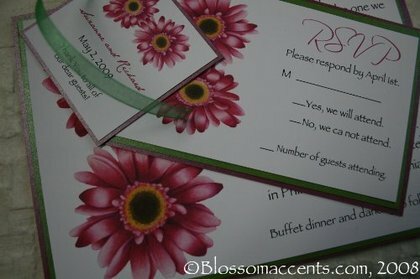 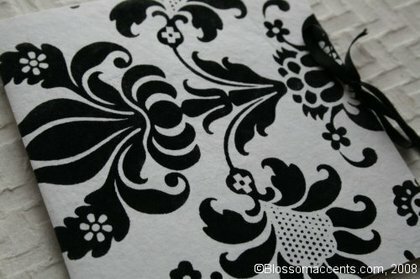 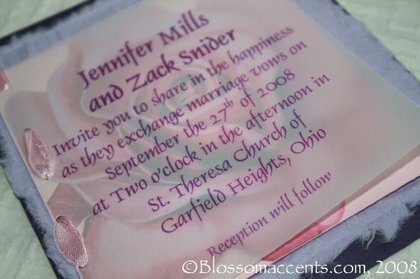 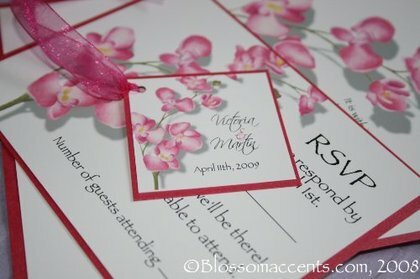 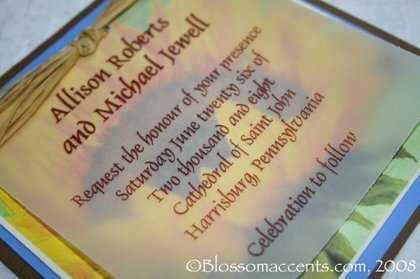 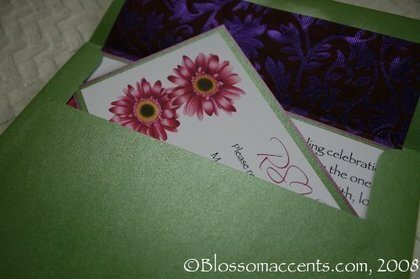 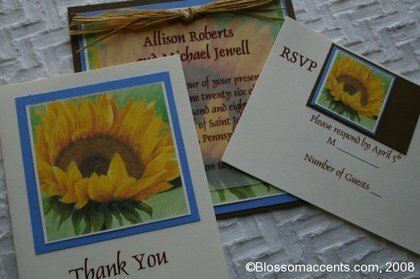 BLOSSOM ACCENTS designs HANDMADE WEDDING INVITATIONS with a UNIQUE, BOLD and CREATIVE style. 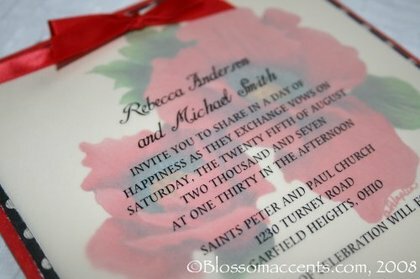 Agnes of Blossom Accents closely works with each couple to create the perfect wedding invitation along with other wonderful accessories. 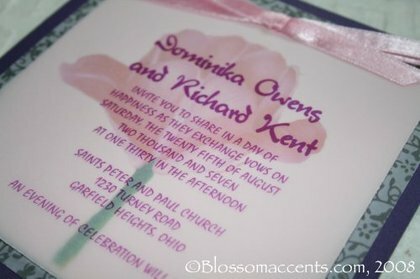 Let Blossom Accents create a lasting accent during your wedding celebration!